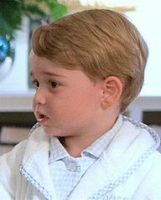 An article which claimed Prince George had become a “gay icon overnight” has sparked controversy, with a politician demanding an apology for the “highly inappropriate” write up. PinkNews published a story with the headline “People think Prince George looks fabulous in this new photo,” saying people on Twitter had called him a ‘gay icon’. But Jim Allister, party leader of the Traditional Unionist Voice (TUV) has called the article “grossly offensive” and said “sexualising a young child in this fashion is entirely inappropriate”.